As I mentioned in my previous post, all three alliances had a really good deal for travel from London to Portland, OR. I decided to take advantage of it, and to tack on a return flight from Portland up to Seattle. It was pride weekend, which also coincided with my birthday. 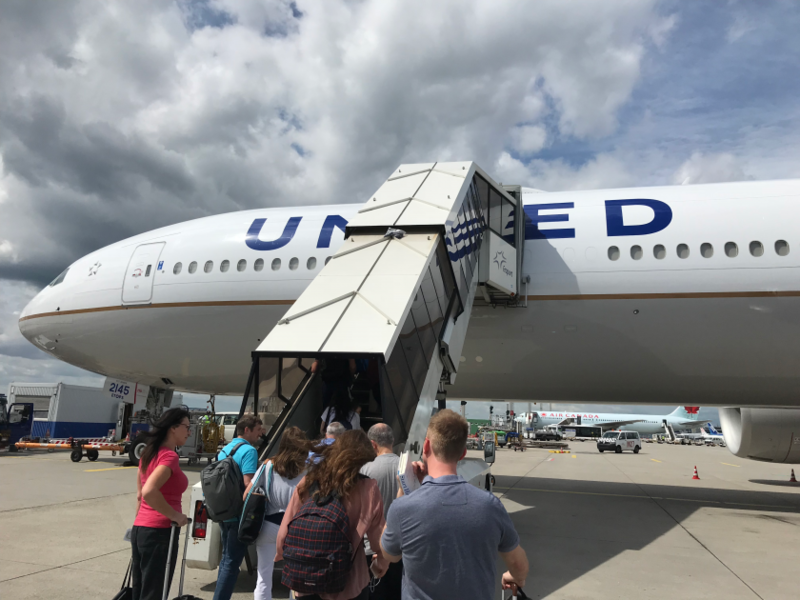 The reason for the routing out from London to Frankfurt to Newark (as opposed to flying direct from London) was that United fly a 777-300ER between Newark and Frankfurt. That type of aircraft is guaranteed to get the new Polaris seat, offering all aisle access. Somewhat confusingly, United calls all of its international business class “Polaris”, even if it doesn’t offer the new seat. You could be stuck on a 15 year old 777-200 that has 2-4-2 seating as bad as British Airways Club World (or arguably worse), and it’s still Polaris according to United. So aircraft type matters. Only a small number of their 777 and 767 fleet have been done, and none of their 787 fleet. This website shows their progress. The journey home was also pretty circuitous, and my key reason was that I wanted a day flight back to the UK i.e. one that leaves in the morning and arrives back in London that same evening. Generally I find that night flights back are so short, that you never get time to get a decent night’s sleep – the day flights I find help enormously with jetlag. However, for some reason, they’re not terribly popular, so there aren’t that many. British Airways used to have an additional day flight from Washington Dulles, and American also used to run one from Philadelphia, but both are no more. In order to book such a complex itinerary, I couldn’t go to a website. Additionally, I mentioned that I wanted to add in some Portland to Seattle flights with Alaska Airlines in the middle, and under the same booking reference. Only a travel agent can do something this complex, so dropped an email to Propeller Travel to do so. They were only too happy to help and a couple of days later my reservation was ticketed, with 016 and 027 ticket numbers for United and Alaska. I would only realise mid-trip, how important it was that everything was under the same record locator, albeit with multiple ticket numbers in the booking. But more on that later. I was going to credit the flights to my Lufthansa Miles and More account, however as a ‘P’ class fare, this would only earn me 1x the mileage, despite it being in business class. All-in-all, I’d earn about 15,000 miles from the trip, which wasn’t bad going. United gives a much more generous 2x credit for these fares, although from 2019, this will drop down to 1.5x which is a pretty big devaluation. With my flights ticketed, it was time to wait for the big day to roll around! Previous Post: The Ginger Travel Guru is back! Next Post: British Airways sacks all Hong Kong based cabin crew. With no notice.